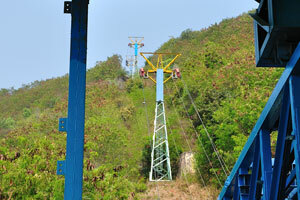 The lower station of ropeway. 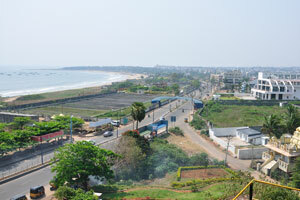 Beach road view from the rope car. 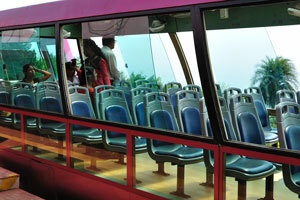 Ocean view from the rope car. 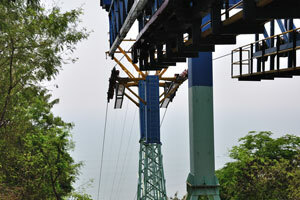 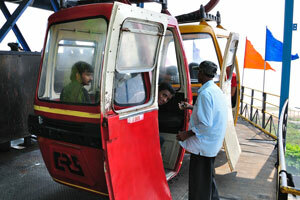 Rope car is moving on the ropeway. 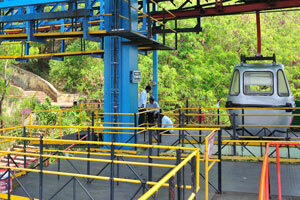 The upper station of ropeway. 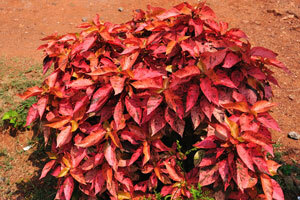 Red coleus with splashes of grey colour on the leaves. 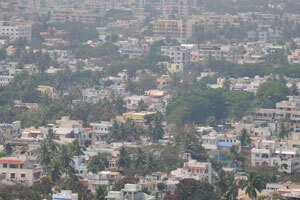 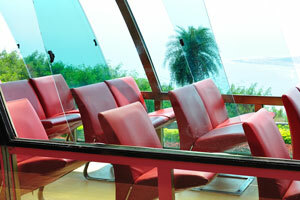 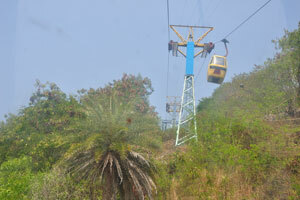 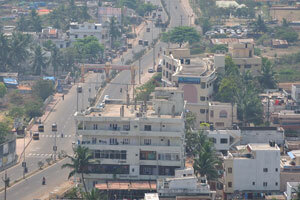 Vizag, bird's eye view from the ropeway. 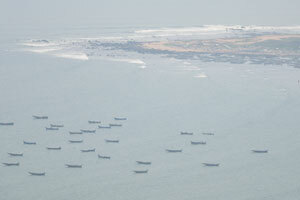 Great quantity of fishing boats. 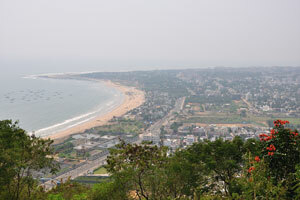 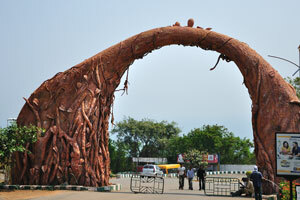 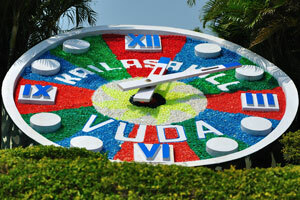 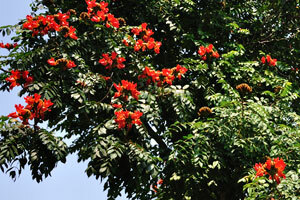 Vizag ​​is the city of flowers. 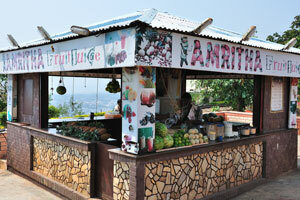 Process of preparing fresh melon juice in Amritha. 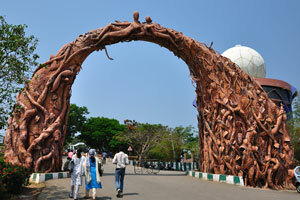 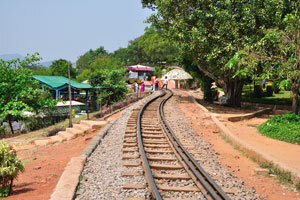 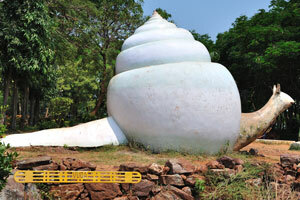 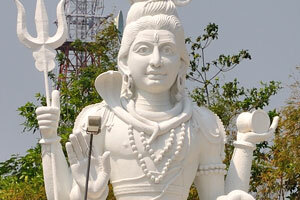 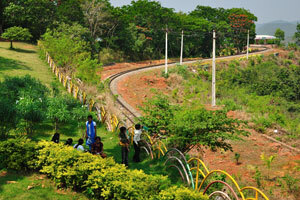 The major attraction of the Kailasagiri park is lord shiva & parvathi statue. 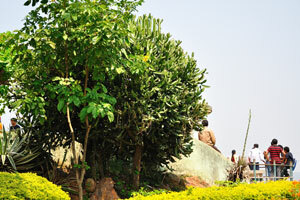 Euphorbia has grown like a tree. 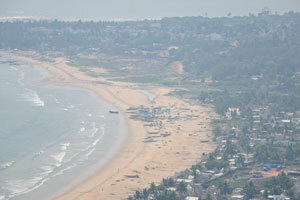 Beach view from Kailasagiri top. 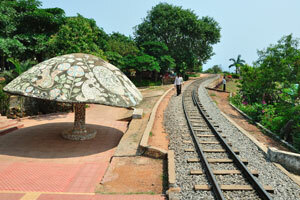 Path of the circular train. 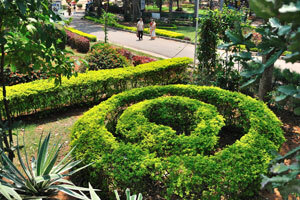 Elements of landscape design in the park. 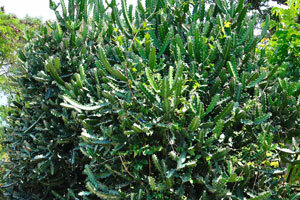 Plants of euphorbia and agave. 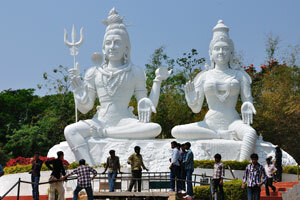 The imposing idols of Shiva and Parvati seated atop the Kailasagiri hill. 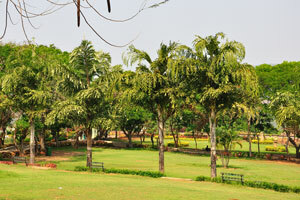 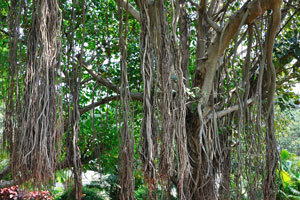 Exotic trees in the park. 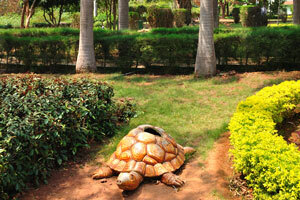 Artificial turtle under the royal palms. 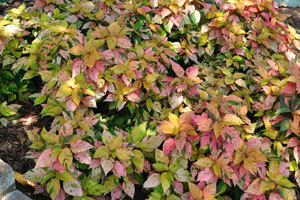 Coleuses with leaves of autumn colors. 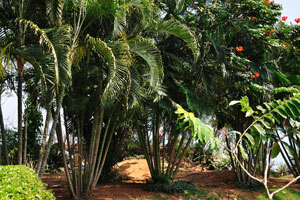 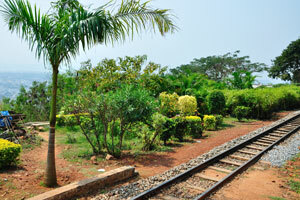 Royal palm has been planted at the beginning of the circular railroad. 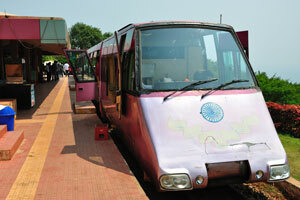 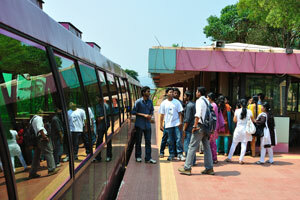 Circular train has stopped at the station. 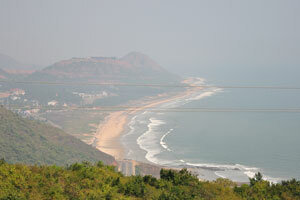 Vizag view from rope car. 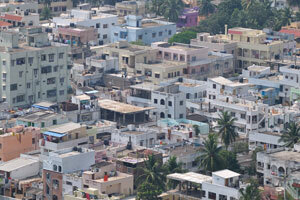 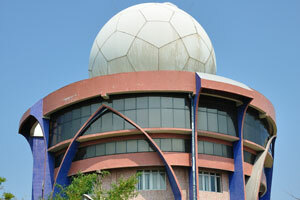 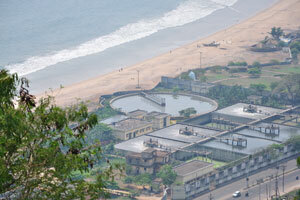 Detailed view of Vizag buildings. 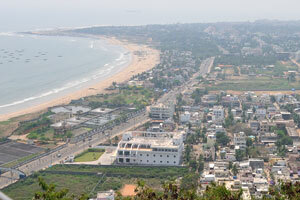 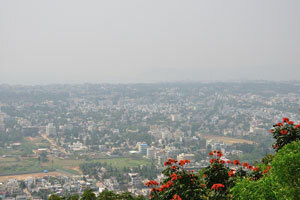 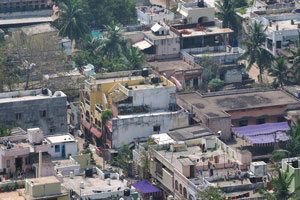 Bird's eye view of old Vizag district. 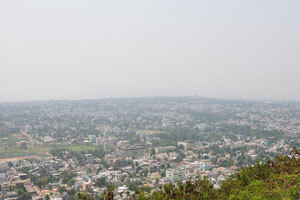 There is a mountain at the rear of city view. 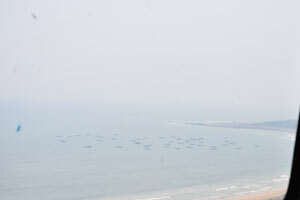 Auto rickshaw drivers on Beach road.